The call letters stand for: Member-sponsored Non-commercial FM. Our news and public affairs programming emphasize controversial, neglected, and non-mainstream points of view on important local as well as national or world issues, illuminating our values particularly regarding peace, human rights and environmentalism. We provide access to the airways for individuals and organizations that support our mission. The station provides a forum for the gathering, exchange and transmission of ideas in a cooperative environment that is respectful of each individual’s cultural or political perspective. 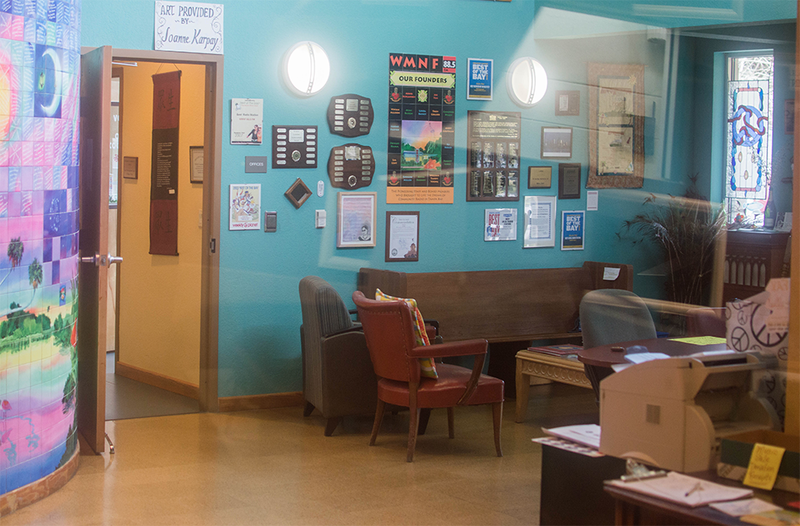 WMNF continues to be volunteer-powered and listener-sponsored, providing the listening community with eclectic music as well as non-mainstream news, views and public affairs programming. Thanks to all the wonderful WMNF volunteers, staff, board of directors and more than 10,500 listener-sponsors! 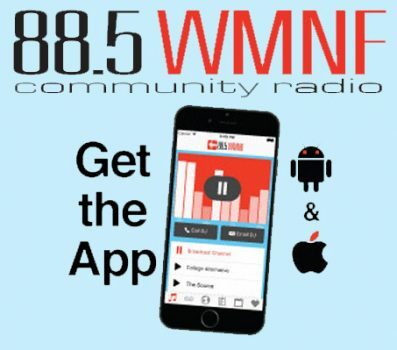 WMNF is a 7000 watt non-commercial, listener supported community radio station, licensed to the Nathan B. Stubblefield Foundation, a non-profit organization established solely to operate WMNF. WMNF is a section 501(c)3 charitable organization. All gifts and donations are tax deductible in accordance with the law. Are you interested in being a WMNF In Kind donor? WMNF’s is supported in many ways by our community, and we very much appreciate the in-kind donations that we receive from businesses and non-profit organizations whose missions mesh with ours. This happy interactive web of benevolent action and activism makes our community a better place to live. There are a few kinds of In Kind donors: Marathon Food Sponsors are the kind folks who feed our hungry volunteers while they are hard at work raising money for WMNF, and Chance Drawing Gift Sponsors provide gift certificates and other goodies that WMNF can give to all the wonderful people who provide support during the multitude of events held year round. Please contact Miss Julie at 813-238-8001, x 100 or missjulie@wmnf.org if you would like to be a WMNF In Kind Donor. Thank you for mentioning 88.5FM when frequenting these businesses. It helps them see the value of partnership with Community Radio. Coming back soon, we hope!